East Coast (Kat) versus West Coast (Ashley) the battle royale. He should come, Ashley is awesome and one of He's favorite bloggers, she has also met He, so we are pretty much BFF. 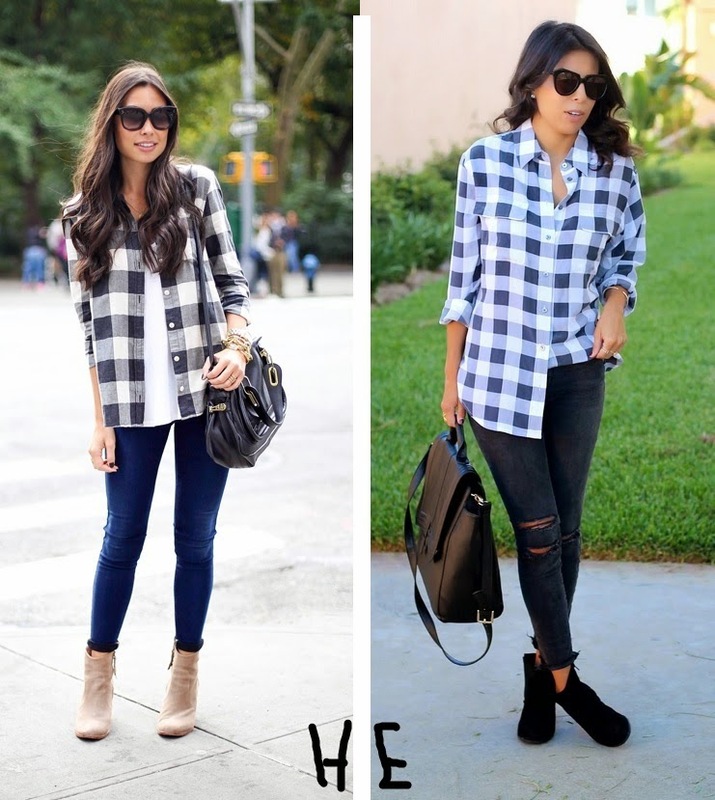 Kat's look has a definitely east coast fall feel to it, the flannel, the light brown shoes, which are a staple item for most chicks, like most new york girls, sunglasses big enough to hide behind. Ashley, in the ripped jeans and black similar style shoe, kinda like a little ripped jean action lately. Hard to say, but it definitely gives a little edge to the look. Also a fan of the half tuck, means shes stylish, but she likes to party too.